The National Pig Association is seeking a 10-year transition period if zinc oxide is banned at therapeutic doses in piglet feed next month. The Committee for Veterinary Medicinal Products (CVMP) that recommended a ban on zinc oxide at therapeutic levels in piglet feed in December is currently re-evaluating its opinion, following an appeal from a number of pharmaceutical companies. The CVMP is expected to make its final recommendation on March 16, after which the European Commission is expected to vote on its final decision in mid-April. A coalition of UK pig industry organisations, including the NPA, the Allied Industries Confederation (AIC), the Pig Veterinary Society and AHDB Pork,along with like-minded EU counterparts, has been lobbying to oppose the ban. This includes making the case for either a regionalised approach that would reflect the lower environmental risk in countries like the UK or a compromise that would permit lower doses for therapeutic use. See Pig World’s analysis of the politics and evidence behind the decision, and the efforts of a coalition of industry organisations to find compromise solutions. However, at a recent meeting to discuss zinc oxide, the Commission rejected calls by the Veterinary Medicines Directorate, representing the UK, raised to consider a regionalised policy. Most member states expressed concern about the negative impact of a ban on the pig sector, but, rather than opposing a ban, called for a transition period before a ban is introduced. With the Commission consulting on the length of transition period needed, most industry insiders believe it is now more a question of when, not if a ban comes in. NPA senior policy advisor Georgina Crayford said: “Even though our ultimate aim continues to be to prevent a ban altogether, the Commission has consulted on a transition period, if zinc oxide is banned. 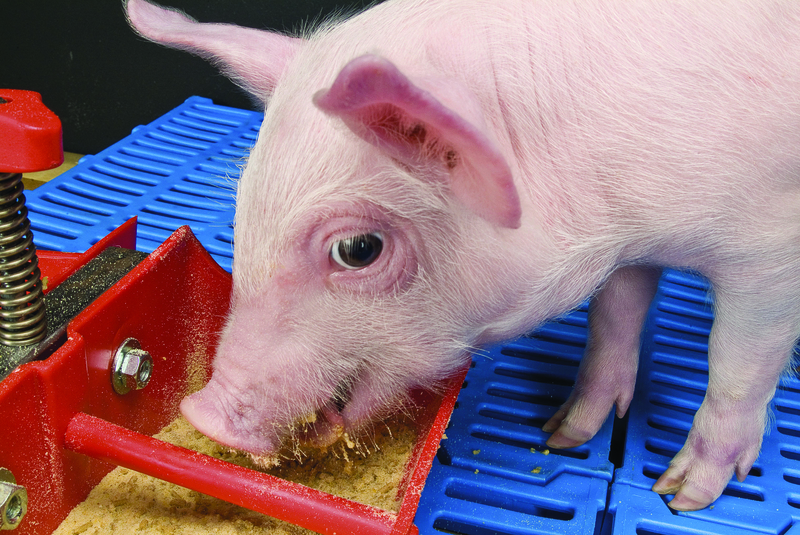 Pig producers have been reminded that zinc oxide,which is used widely to prevent and control post-weaning diarrhoea (PWD) and bowel oedema disease in young pigs, is still permitted at therapeutic doses in piglet feed, despite this uncertainty over its future. It has emerged that some producers believe the product is already banned. Dr Crayford said: “Zinc oxide is still available in piglet feed and we, along with other industry bodies, are lobbying very hard to keep it that way.